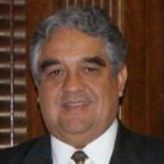 Luis M. Valdivieso Montano became Peru’s Ambassador to the United States on February 17, 2009, after being Minister of Economy and Finance of Peru from mid–2008 until January 2009. During this period, he was also Chairman of the Board of the Andean Finance Corporation (CAF), the National Fund for the Financing of the Public Sector Entrepreneurial Activity (FONAFE), and the Peruvian National Retirement Investment Fund (ONP), the Private Investment Promotion Agency (PROINVERSION), and the Inter-ministerial Committee of Social Affairs (CIAS). Valdivieso holds a B.A. in Economics from the Catholic University of Peru, and a Ph.D. and an M.A. in Economics from Boston University. Most of Valdivieso’s professional career was spent at the International Monetary Fund (IMF), where he worked for 28 years starting in 1980. He began in the Western Hemisphere Department (1980-1987). He held senior management positions in various departments, including Advisor and Division Chief, positions in the Asia and Pacific Department (1999-2008) as well as the European Department (1991-1999), which covered all the countries of the former Soviet Union. Moreover, he held Senior Economist positions in the Policy Development and Review Department (1997-1999). During his career at the IMF, he played key roles in the negotiations of several major IMF-supported programs, as well as policy consultations, including Indonesia, Malaysia, Bangladesh, Sri Lanka, Cambodia, Laos, East Timor, Russia, Kazakhstan, Tajikistan, Armenia, Turkmenistan, Mexico, Colombia, Trinidad & Tobago, El Salvador and Somalia. In addition to his country policy experience, Valdivieso worked extensively on international capital market issues and developing countries’ external debt issues, and contributed directly to the design of IMF’s policies on post-conflict assistance, bank restructuring and supervision, monitoring issues related to financial sector reform, anti-money laundering issues and terrorism, custom unions, fiscal issues, and data management and dissemination. Valdivieso also served as a Special Technical Advisor to the Ministry of Economy and Finance of Peru in 1991. Prior to joining the IMF, Valdivieso was a Senior Researcher, Center for Latin American Monetary Studies, advisor to Bank and Securities Market Directorate of the Ministry of Finance and Public Credit in Mexico and advisor to the Superintendence of Banks of Ecuador. He also taught Introductory Economics and Advanced Macroeconomics at Boston University and was an Econometrics Instructor at the Catholic University of Peru.